A former reporter, editor, and assistant publisher of Jasper’s Daily Mountain Eagle, Skip Tucker has been press secretary for a governor of Alabama and media director for an Alabama Supreme Court chief justice campaign. Described in the jacket text as a “rare espionage thriller set in the Civil War,” this novel—presumably his first published fiction—combines contemporary plot mechanics with historic characters and setting. The protagonist’s name, Rabe Canon, seems tongue-in-cheekily appropriate to his military persona. 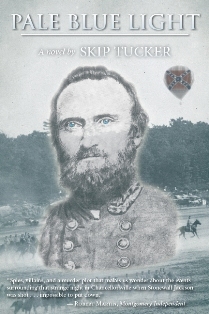 The leader of the Black Horse Cavalry, he knows “major figures in the upper echelons of the Confederacy,” including Major Thomas (i.e., “Stonewall”) Jackson. Canon combines a journey to raise money for the Confederacy with a mission to find out more about how Jackson, who was wounded at the Battle of Chancellorsville, actually died. The journey also provides a romantic liaison with a female Yankee spy. Julia Oliver’s literary credits are on her website, www.juliaoliver.net.